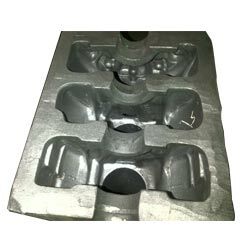 This type of coatings is mostly used in casting industries & foundry industries for core and mould coatings to get the casting surface smooth and finished; this types of coating is also used for CI castings. BP COAT 1555 Thixo- Tropic Liquid Zircon/ Water Baume - 95-115 Sp.Gr.- 2.15-2.30 Visc. - NCF Solids- 72 +/- 5 Brushing. This is a general purpose ready to use Zircon alcohol based coating suitable for all types of Binder Backgrounds. BP COAT 2018 Liquid Graphite/ Sp.grade carbon/ Solvent Baume - N/A Sp.Gr.- 1.0- 1.10 Visc. - 12-17Sec Solids- 35 +/- 3 Spraying, Brushing and Ignite. BP COAT 3001 is a refractory Graphite - water based coating; very much suitable to be used as runner coating in centrifugal casting. BP COAT 3001 offers good brush ability with suitable diluted consistency. It gives a good adequate bond to the metal portion from where the liquid metal flows towards centrifugal casting. It also acts as a barrier between hot metal and the metallic runner body not allowed hot metal to stick to the runner and gives good peel off.